With so much information at our fingertips (and thumbtips) at all times we have never, ever been so well informed. According to the article Knowledge Doubling Every 12 Months, up until around 1900, human knowledge doubled approximately every century. By the end of the Second World War it was doubling every 25 years. Now our knowledge is doubling every 12 months on the way to doubling every 12 hours. We all know so much, you might think. That’s great. Yes having access to information on just about anything, available at all times is great. But we also need to remember the importance of quiet, allowing our minds and bodies to appreciate and absorb absolutely nothing – and not just while we’re sleeping! It’s during times of quiet that we often have our greatest insights and inspirations. These moments can provide answers to questions we’ve been mulling over that finally make their way into our consciousness. It’s the quiet that makes room for other things to blossom. Think about it, how can we come up with new thoughts or solutions to old problems when our mind is busy with an unending barrage of information and stimulation. The issue is only compounded when much this influx of information is no more than space filler or attention diversions. Further, studies have shown people actually take information in and retain it better after a walk in nature than a walk in an urban environment. What this suggests is, all the information coming at us non-stop actually leaves us mentally tired. 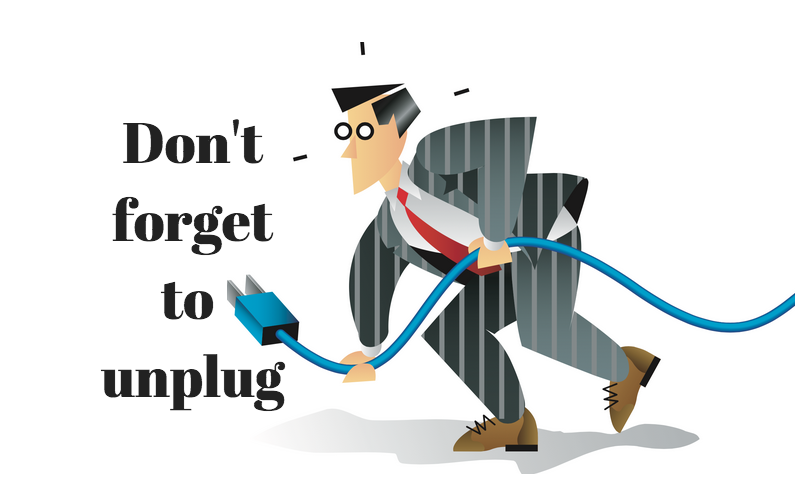 Next time you find yourself falling into a rabbit hole of clicks, think about these 5 Reasons To Unplug From Technology After Work from Forbes.